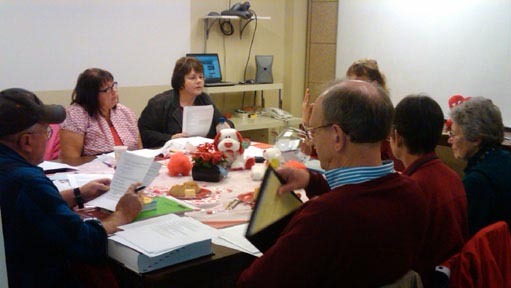 On the second Saturday each month, former and prospective students and those just wanting to sharpen their skills gather at the WSU Extension office in Wenatchee. Having fun is the best way to learn! Past students of our Institute as well as those thinking about learning Spanish as a second (or third) language and possibly attending our Institute are encouraged to attend. Gather with a talented and gifted instructor and students from previous Full Immersion Spanish Institutes to ask questions about those difficulties you have run into since you finished the class. Hear guest speakers from the area who are from different countries of the Spanish-speaking world, with different dialects, speak about their countries, experiences and cultures. Participate in a wide gamut of learning activities (games, creative writing, conversation, specific skill acquisition, etc.) in student groupings of varying sizes. Watch videos and listen to audio of music and other media to help you gain greater facility with the language.